1) update your account information. users to update their account information. 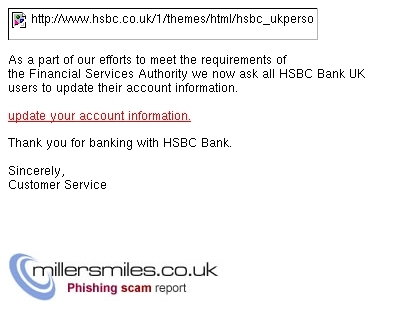 Thank you for banking with HSBC Bank.